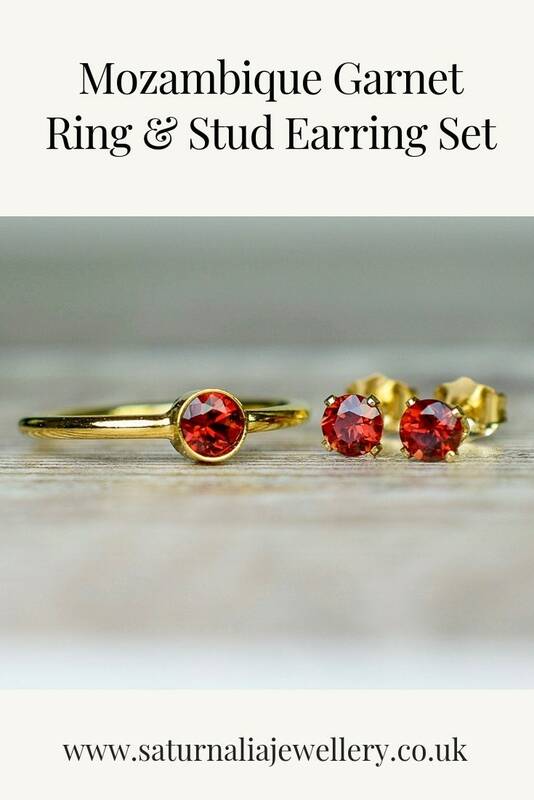 A Mozambique Garnet ring & stud earrings jewellery set. 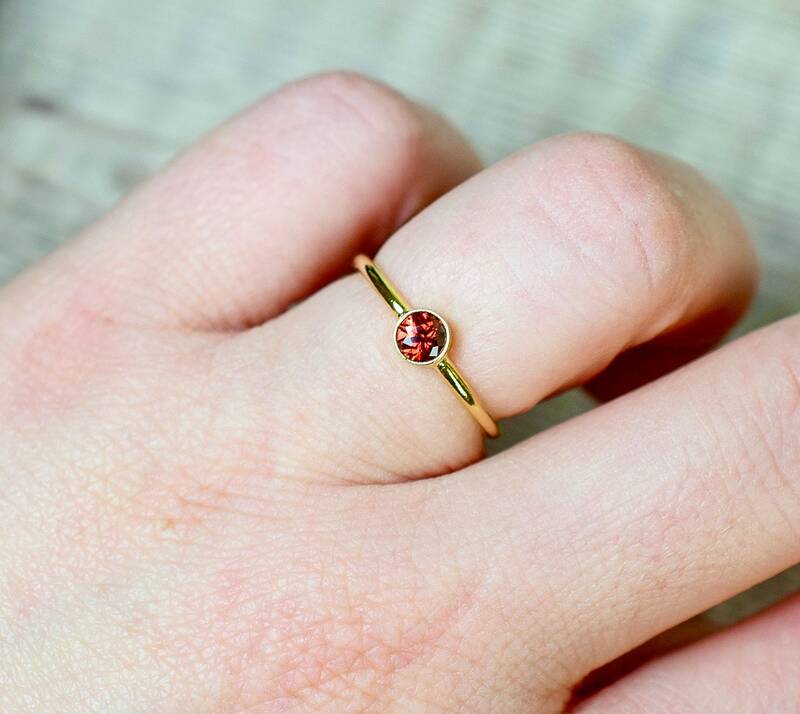 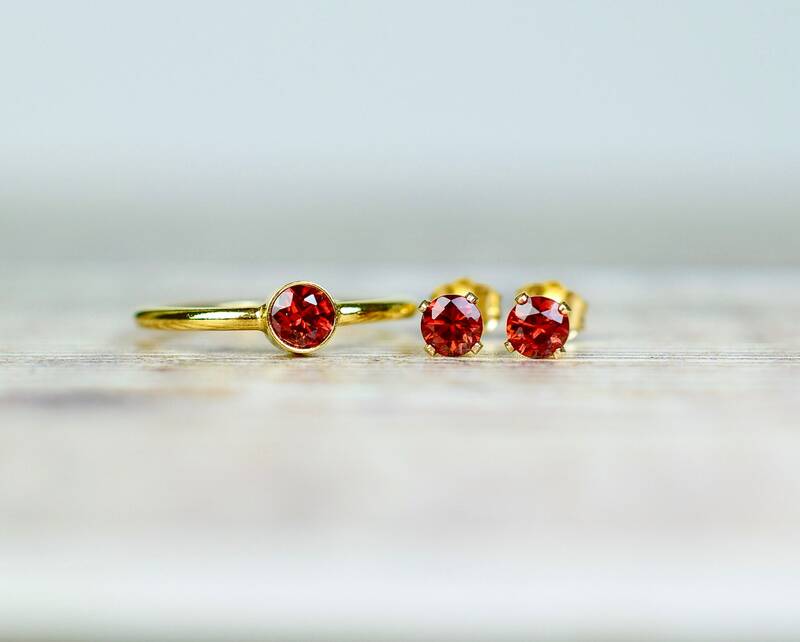 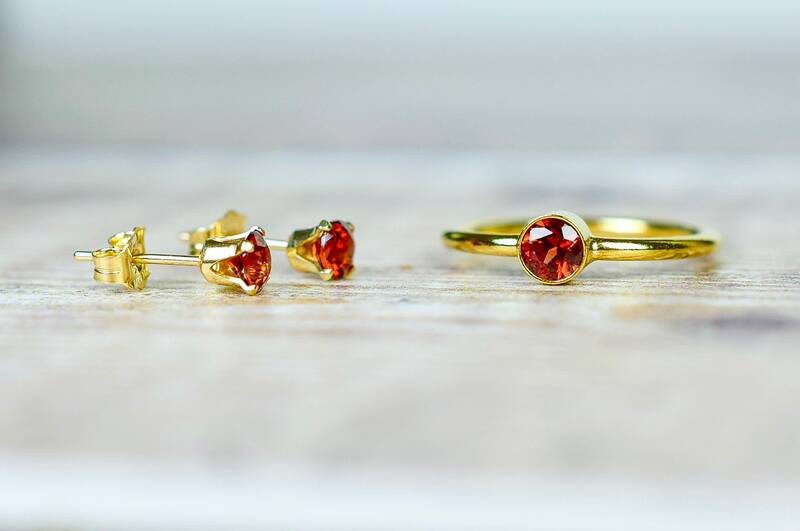 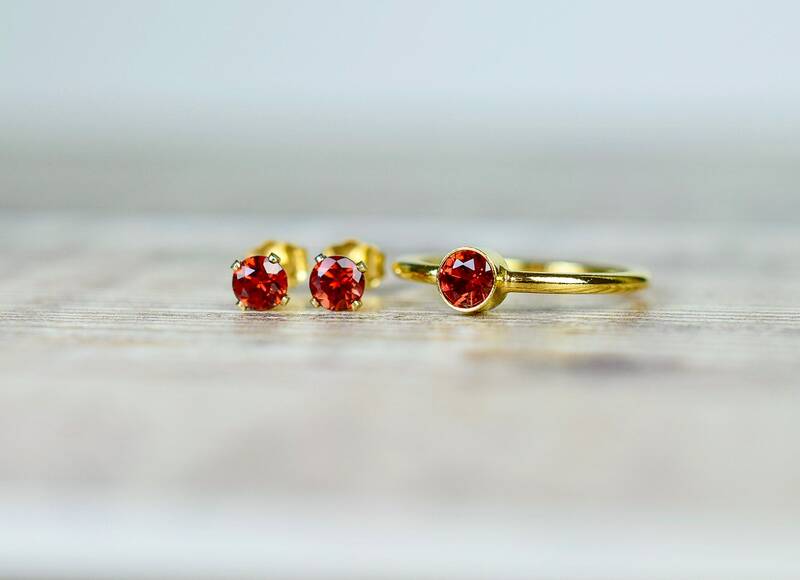 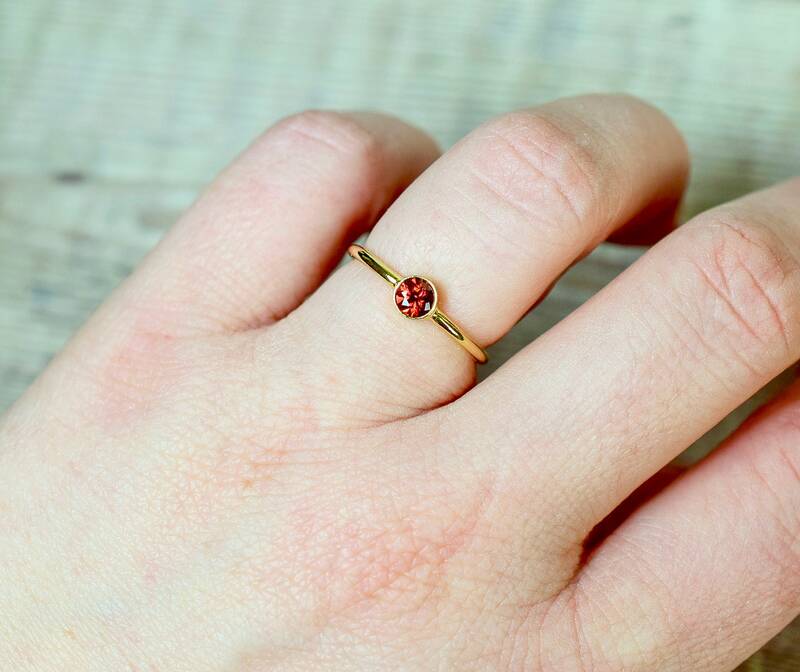 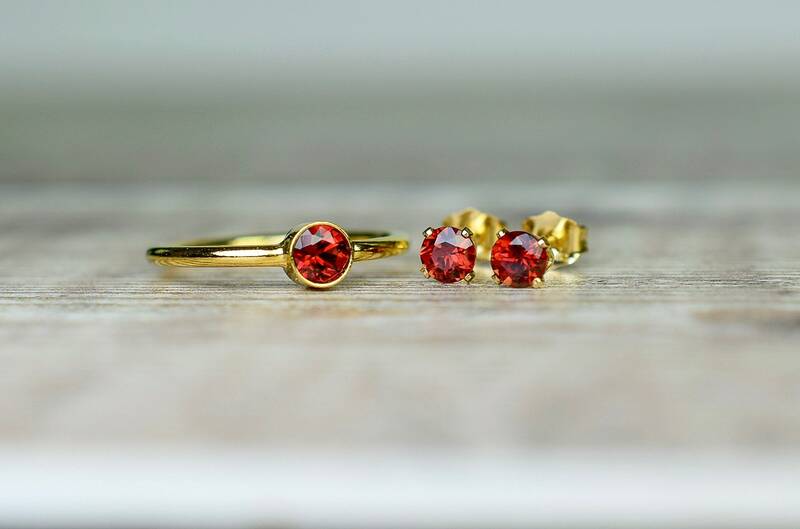 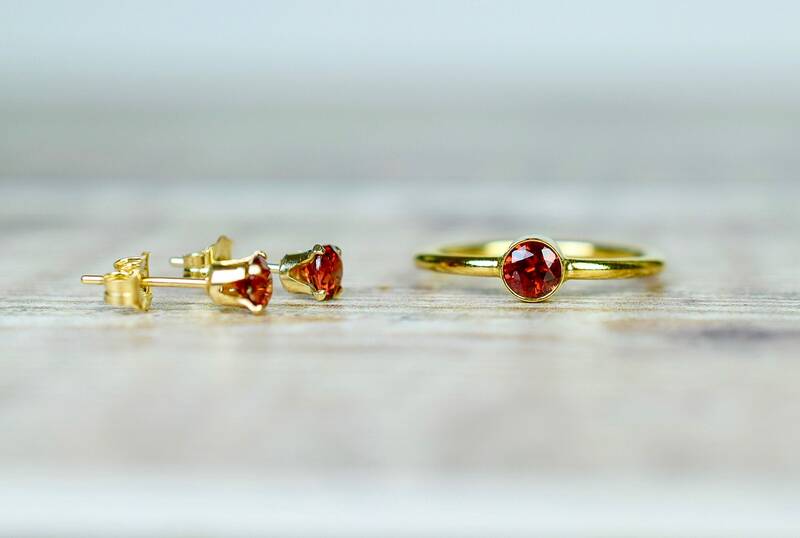 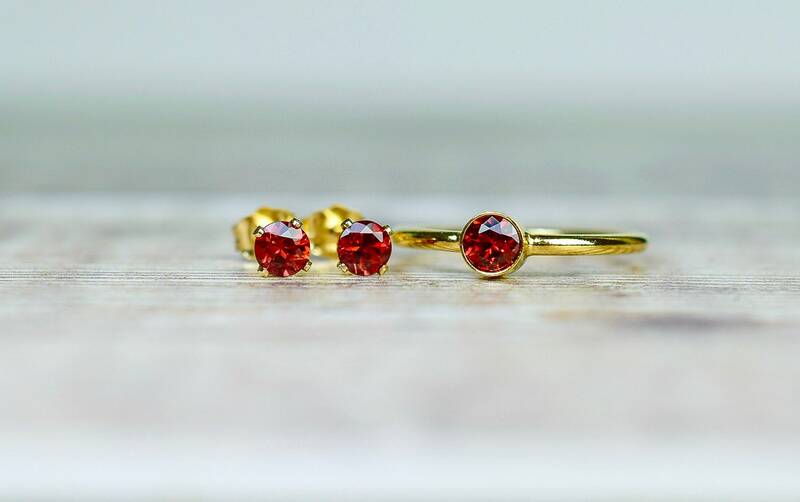 The natural Garnet gemstones are a vibrant and lively shade of red and they look great against their gold settings. 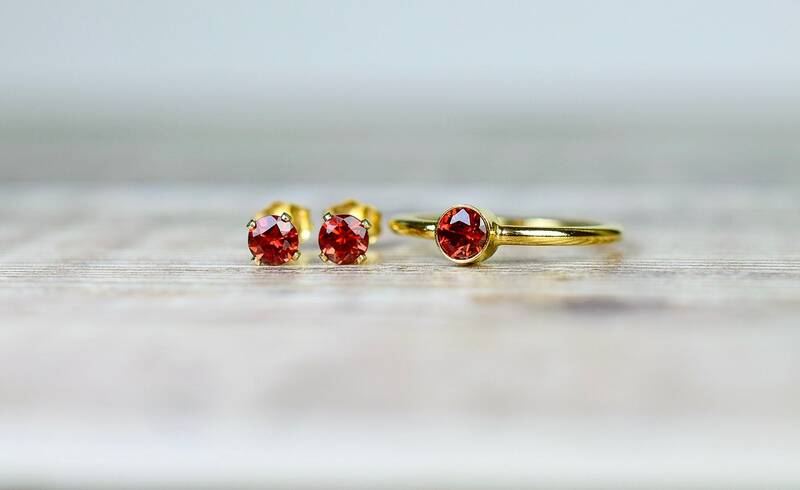 The stud earrings and solitaire ring are made from 14k gold fill and the red Garnet gemstones measure 4mm.